Unisex fit lightweight softshell jacket in navy. Sussex Wing ATC crest embroidered on front left chest and RAF Air Cadets logo embroidered on front right chest. 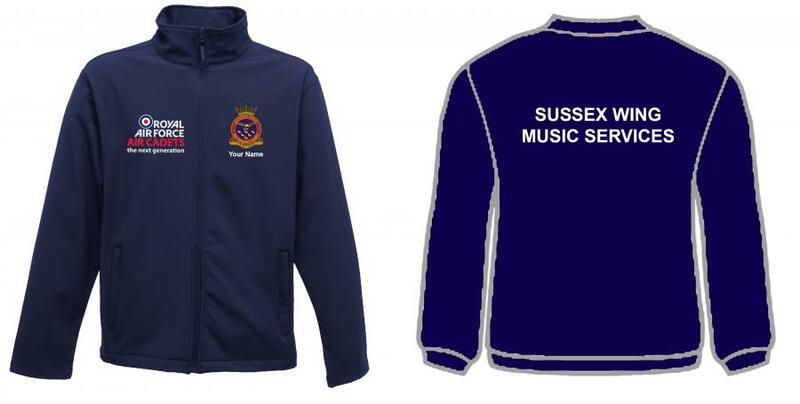 'Sussex Wing Music Services' embroidered on back in white.